Mega Massive Global Healing Avalanche Came on December 17. Did you Feel It? David Owuor, one of Africa’s most prominent charismatic healers. Entitled the “Mightiest Prophet of the LORD,” Dr. David Owuor claimed that the Sunday healing service on December 17 would begin a “mega massive global healing avalanche” that would be felt around the world. The video is below. 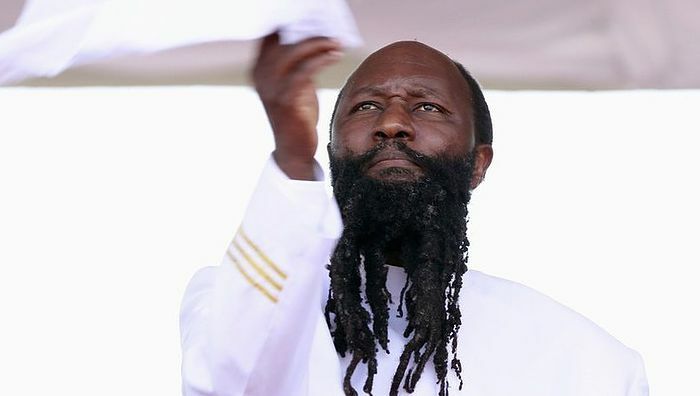 Owuor, who was born in 1966 in Goma village, Usenge in Bondo District in Kenya, was supposedly a scientist by profession, but now become a prophet and televangelist. He is making huge strides in Africa. In the dream he recalls in this video, he was given the tree of life in his hands and the nations were coming to him to be healed. On his website, Owuor provides media clippings claiming that he has raised the dead and made it rain, which you can see here. Did you feel a massive mega avalanche of healing on December 17? Neither did we. But, according to the Christian News Wire, Owuor is now predicting that a Mega Healing Service will take place on December 31. They also report that in November, a woman in Finland received a new brain while listening to Owuor talk on the radio. They do not report why the Mega Healing Avalance was changed from December 17 to December 31.